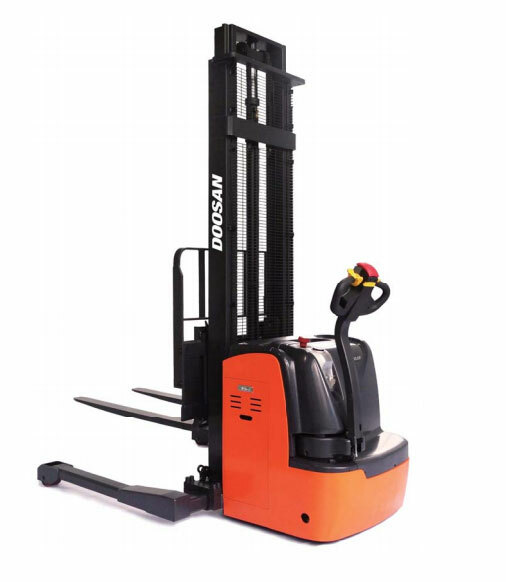 Doosan’s BWS 17 Walkie Stacker can move, lift, stack and store products in your warehouse without a large investment. Allows creep speed operation with handle in the upright position. Increases ability to maneuver in tight spaces. Stabilizes truck with loads at height. Provides a convenient place to store job related items. 106″, 130″ (STD), and 145″ Versatility to meet your application. Provides ability to handle various loads and applications. 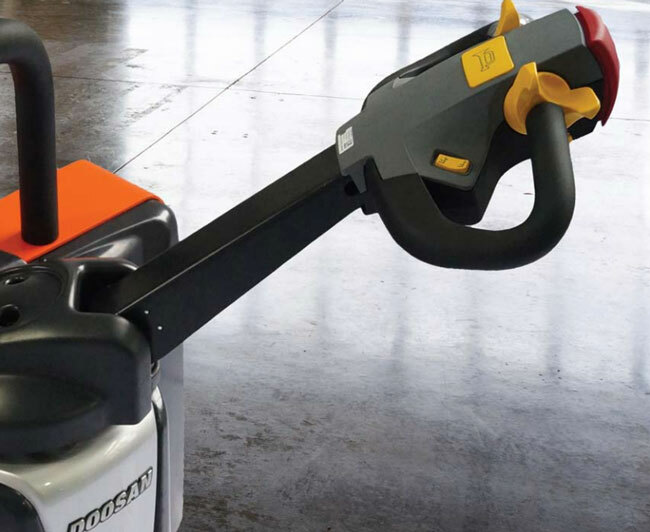 A convenient storage compartment is included on our Walkie Rider/Walkie Stacker trucks to hold those items that the operator needs to get the job done. Allows for easy maintenance, removal and replacement. BWS 17 comes standard with an Hour Meter/Battery Discharge Indicator to keep track of hours used and reserve battery power at a glance. Batteries are easily charged in any 110v outlet. 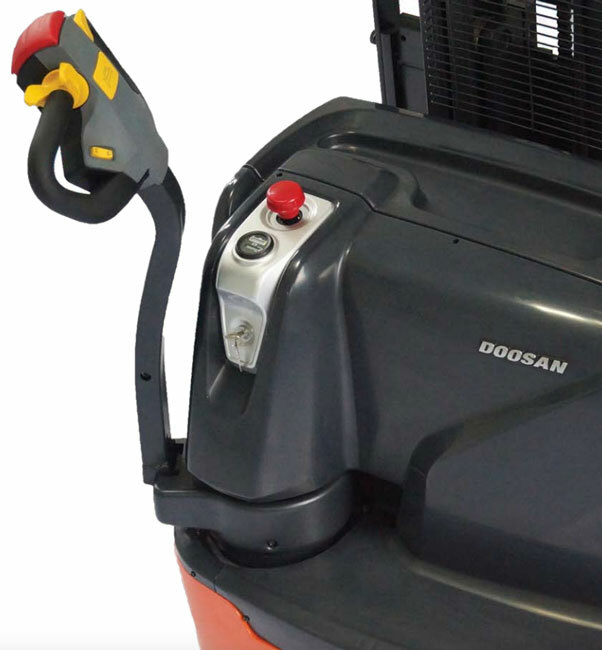 A 24 volt AC drive system is smooth, powerful, efficient and requires minimal maintenance. This reduces the number of connections and potential for problems making the system less complicated and more reliable. 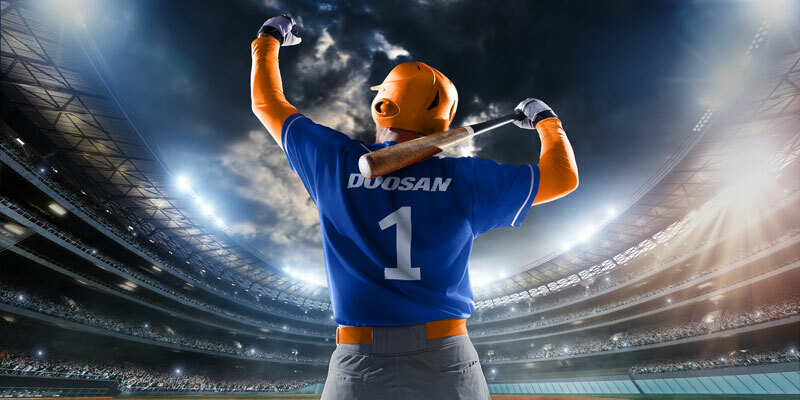 The Doosan Stacker series design provides a significantly tighter turning radius than typical counterbalanced lift trucks. Provides longer tire life and lower energy consumption compared to a rubber tire.